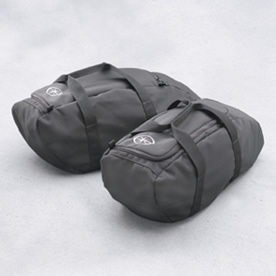 Our custom made Hard Saddlebag Liners provide carry-away convenience for your luggage. Constructed of heavy-duty ballistic nylon for added durability, Also features an embroidered Star logo to compliment your V Star. Sold in pairs.